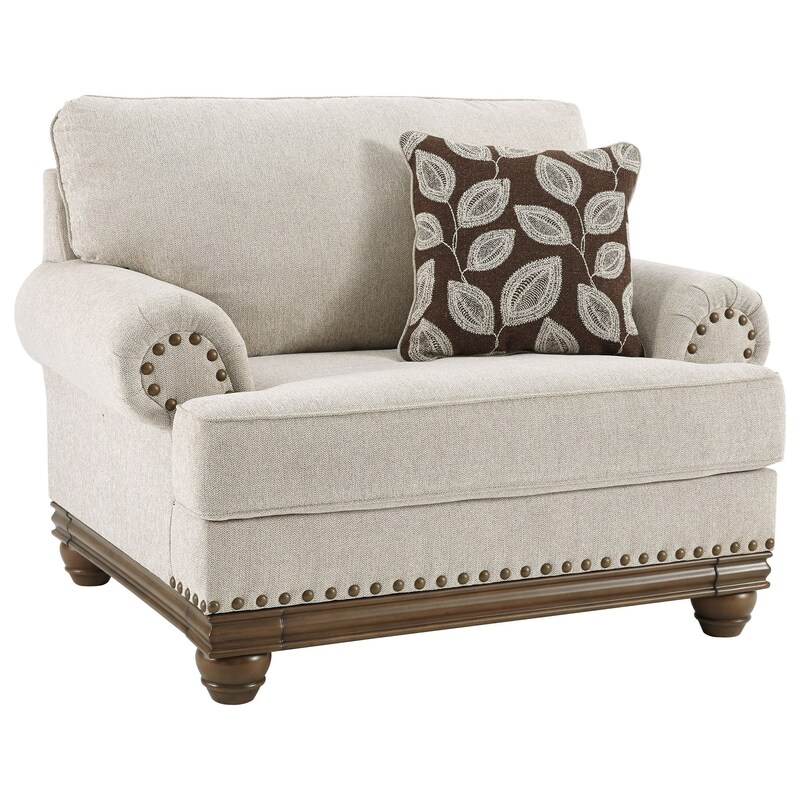 Brighten your home with transitional style when you bring this chair and a half into your living room. 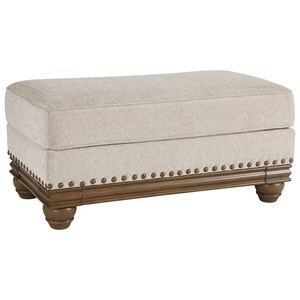 Transitional style is brought to life through its timeless rolled arms embellished with nailhead trim and soft pleats. Covered in a light fabric with a semi-attached back pillow and one throw pillow, this chair will create the inviting living room look you've been after. A coil seat cushion adds to the comfort and durability of the chair. The Harleson Transitional Chair and a Half with Nailhead Trim by Signature Design by Ashley at Value City Furniture in the New Jersey, NJ, Staten Island, Hoboken area. Product availability may vary. Contact us for the most current availability on this product. Frame Construction Frame constructions have been rigorously tested to simulate the home and transportation environments for improved durability. Corners are glued, blocked and stapled. Seats and back spring rails are cut from hardwood and engineered lumber. Seat Support Coil Seating features individually pocketed coils to create uniformed shape and consistent support for durable seating comfort. 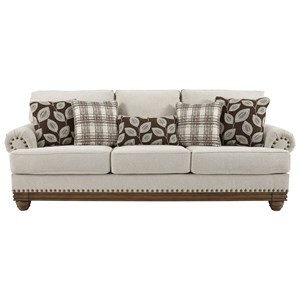 This transitional living room collection will bring a warm and inviting ambiance into your home. This group features a frame covered in a light fabric with semi-attached back pillows and throw pillows to capture a cozy look and feel. 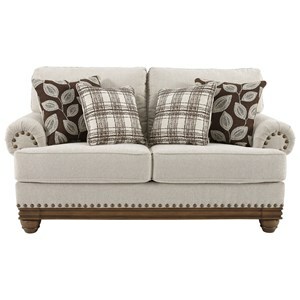 Bun feet, exposed front rails, and rolled arms embellished with nailhead trim and pleats contribute to the timeless transitional style displayed in this collection. The Harleson collection is a great option if you are looking for Transitional furniture in the New Jersey, NJ, Staten Island, Hoboken area. 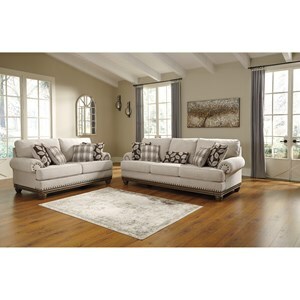 Browse other items in the Harleson collection from Value City Furniture in the New Jersey, NJ, Staten Island, Hoboken area.